Ebola has reportedly killed more than a thousand patients in West Africa in recent weeks, prompting Liberian president Ellen Johnson Sirleaf to ask for a supply of a potential treatment – Zmapp – which has not been tested on humans. On the day of the announcement (August 12th 2014), Radio 4’s PM programme contacted breast cancer surgeon Charlie Chan, a supporter of the Medical Innovation Bill, to talk about the use of untested medical interventions on Ebola patients. Mr Chan agreed to the PM programme’s request. Presenter Eddie Mair also wanted to know whether there were any parallels with the use of Zmapp on patients dying from Ebola and the Medical Innovation Bill, which is designed to allow doctors in the UK to use non-standard treatments on patients who have run out of proscribed medical options – as long as patients and fellow doctors all agree. Mr Chan wrote a blog post for us explaining how bold thinking in Liberia chimes with the principles behind the Medical Innovation Bill. Amid the turmoil of the world’s worst Ebola virus outbreak, the World Health Organisation (WHO) declares that it is ethical to consider giving a novel drug, called ZMapp, to sufferers in the West African country of Liberia. 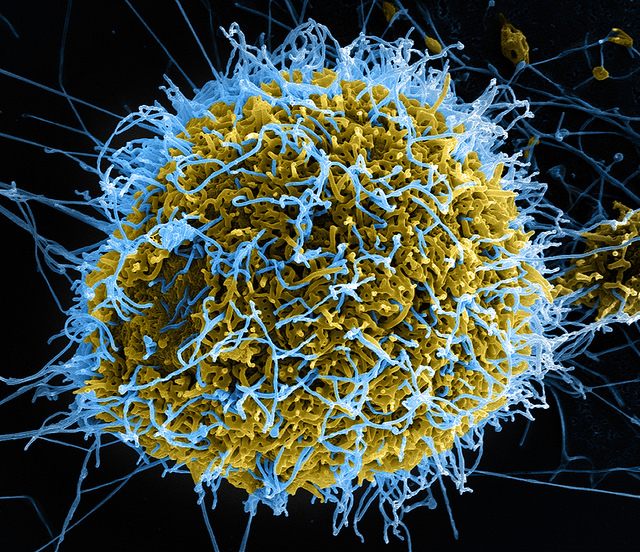 ZMapp is a cocktail of three antibodies to Ebola virus, developed in mice, and subsequently modified or humanised. It is produced in genetically modified tobacco plants, which take two months to grow. In preliminary tests on small numbers of primates, it seems to show possible benefits, if given early. It has not been tested in humans. The prospect of Ebola Armageddon in West Africa has roused the world’s pre-eminent health organisation to offering innovative treatments. So, if one might use ZMapp in Africa on people with one of the world’s deadliest infections, could one consider using other novel treatments for serious or life-threatening disease in the UK? This was the question the PM programme presenter Eddie Mair put to me on August 12. The answer is, it depends on where you live, and whether you are treated in a forward-looking major centre or not – a postcode lottery perhaps. At the moment, many doctors feel inhibited to try novel treatments, when all else has failed for their cancer, degenerative disorder (eg motor neurone disease or muscular dystrophy) or other serous debilitating illness. But, if the new Medical Innovation Bill is successful in its passage through Parliament, this conservative or defensive culture may change. People with serious illnesses will then be able to discuss new treatments, when all else has failed. Doctors will be empowered to listen and suggest possible innovative therapies, providing suitable safeguards for patients are in place. Recording all the new treatments on an open access database, will help record the results, underpin new research and develop ideas for further clinical trials. The WHO has been bold and decisive in stating their position to support innovative new drugs for Ebola. Will this be the catalyst for a new era of medical advancement? I hope so.